The 2018 Honda Accord has been piling up the awards since it arrived on the market last year. After being named the North American Car of the Year in January, the Accord won Canada’s most coveted automotive award when it was named AJAC’s Canadian Car of the Year for 2017. The Accord was thoroughly redesigned, and it would appear that the AJAC journalists approved of the changes. The Canadian Car of the Year is chosen after a week of intensive testing, which happens every October at the Canadian Tire Motorsports Park in Bowmanville, Ontario. There, AJAC journalists put each new vehicle through its paces in identical conditions, and compare it with models in the same segment to pick the very best vehicle. 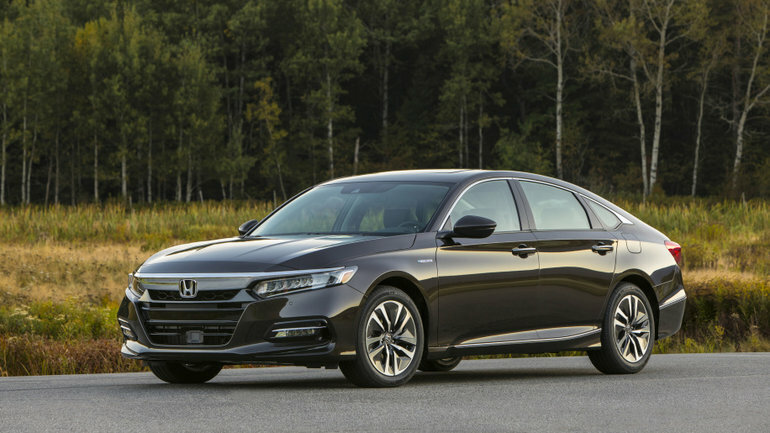 The 2018 Honda Accord stood out in part because of its brand new turbocharged four-cylinder engines. Developing 192 and 252 horsepower depending on the engine, they happen to be among the most fuel-efficient in their respective segments. A CVT automatic transmission helps in that regard, while also improving comfort. The new 2018 Accord is more spacious, comfortable, and packed with even more safety and connectivity technologies. To learn more about the 2018 Honda Accord, contact us today at Rivington Rally Honda!